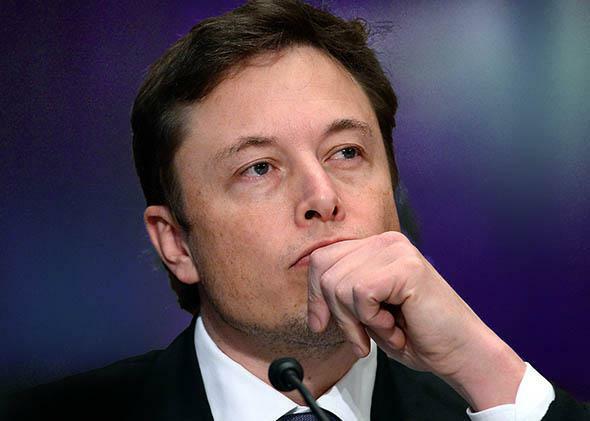 Tesla and SpaceX founder Elon Musk has a knack for getting others to fund his ventures. Tesla founder Elon Musk has a knack for getting others—even competitors—to fund his ventures. Elon Musk knows how to tap into the joys of OPM—other people’s money. Elon Musk has become a 21st-century industrial superhero. Tesla, the electric sports carmaker he founded and runs, has a market capitalization of $25.6 billion. SolarCity, which he helped found, is one of the nation’s largest solar panel installers, and is worth $4.8 billion. SpaceX, the commercial rocket venture, worth at least a billion or two. Of course, Musk is no Tesla or Edison. He was not the first to attempt to commercialize the electric car, solar electricity, or space travel. But he has been brilliant about gaming systems, creating demand for expensive products, and coming up with ways to fund his projects. Elon’s élan, it turns out, is getting other people—customers, clients, rivals, the government, investors—to fund the heavy capital expenditures and infrastructure associated with his friction-filled businesses. Time and again, Musk has done so in ways that traditional competitors don’t: collecting deposits for Tesla cars far in advance of production, getting satellite customers to fund development through hefty milestone payments, and, most recently, securitizing solar leases. In so doing, Musk highlights an often overlooked theme. When it comes to transforming the way we produce, use, store, and manage energy in the U.S., innovation in finance and marketing can be just as significant as innovation in technology and engineering. Let’s take the three principal components of the Musk-onomy in turn. Car manufacturing is a very capital-intensive business. You need hundreds of millions of dollars to build factories, hire people, design and test vehicles, and buy supplies. But the century-old sales and distribution model is really hostile to upstarts. Giant companies assume all the financial risk of building cars, push them to dealers, and then finally get paid only when a sale is completed. A payment from the customer is the last step in the process. Tesla managed another sharp financing trick: It managed to get rival car manufacturers to fund its operations. In 2008 California required large automakers to sell tens of thousands of zero-emission vehicles. There was a loophole, though. Instead of making these cars themselves, automakers could purchase credits from companies that actually produced zero-emission vehicles. And since Tesla was pretty much the only game in town, it was able to build up a business in selling such credits. In the second quarter of 2013, it realized $51 million in revenues from credit sales, a sum equal to about 13 percent of its revenues. SpaceX, the Musk-founded venture that bills itself as “the only private company ever to return a spacecraft from low-Earth orbit,” is a similarly capital-intensive business. And if it had to wait until after it delivered the payload for payment, there would be no prospect for success. Musk plowed $100 million of his own money into SpaceX, and he raised several hundred million more from venture capital and private equity firms. But that was nowhere near enough. The key to its success—the company says it is “profitable and cash-flow positive”—has been getting its biggest customers to fund the construction of the systems, through so-called milestone payments or progress payments. SpaceX in 2008 inked a $1.6 billlion deal with NASA for 12 missions to the International Space Station, and has deals with commercial satellite companies for launches. The first SpaceX cargo mission to the ISS launched in October 2012. But by that time, SpaceX had already received hundreds of millions of dollars from NASA. Through mid-2011, NASA had paid SpaceX $298 million for meeting milestones, and Musk in April 2012 said, “I think we’ve received about $400 or $500 million in NASA funds so far.” Last week Musk and SpaceX sued the Air Force for awarding no-bid contracts for national security launches. In recent months SolarCity has pioneered yet another novel way of getting other people to fund the rollout of expensive infrastructure. Rooftop solar panel installations can cost $25,000, even with tax credits and rebates. SolarCity’s original innovation was financial, not technological. Rather than sell systems to homeowners, it mimicked the auto industry and offered to lease the expensive equipment to the customer. In SolarCity’s model, the company owns the solar panels on the roof, and homeowners either lease the systems or agree to buy the electricity the systems generate for a period that lasts up to 20 years. This little-money-down approach has proved to be very attractive. SolarCity, with more than 5,000 employees operating in several states, has 100,000 customers and says a new customer signs up every three minutes. But the strategy still imposes significant costs on SolarCity. “We’re financing the capital costs of the system,” as Jonathan Bass, vice president of communications at SolarCity, puts it. SolarCity has to buy and install the panels upfront and then wait several years until the cash flow repays the initial investment and generates funds that it can use to buy more panels. As fast as it is growing, SolarCity is constrained by the fact that it needs to scrounge up the cash to fund each new system. Here again, however, a Musk company has stolen a march on its competitors through financial innovation—securitization. Mortgage giants Fannie Mae and Freddie Mac long ago realized they could raise new cash to make home loans by packaging up groups of mortgages into securities and then selling them to investors. Turn $100 million in 30-year loans into $90 million in 30-year bonds, and all of a sudden you have $90 million in new money to lend. That’s precisely what Solar City has done with solar leases. Last November, in what is believed to be the first securitization of solar leases, SolarCity lashed 5,033 solar panel systems together and hired Credit Suisse to turn them into $54.42 million of bonds. The 4.8 percent annual interest payment (and the ultimate payment of the principal) is to be funded by monthly lease and power purchase payments SolarCity receives from its customers. The securities received a BBB+ from Standard & Poor’s. Earlier this month SolarCity announced a larger deal—a $70.2 million offering backed by 6,596 leases. And there’s more to come. On March 25 SolarCity lined up $250 million in financing from a bunch of banks to fund the rollout of 200 megawatts of power systems. “After the solar assets are fully deployed, SolarCity expects to refinance the facility in the securitization market,” the company said.